Procter Contracts has supplied and installed railings, sports fencing and automated gates for the new Highbury Grove Business & Enterprise College in Islington. The project illustrates how Procter Fencing Systems can work with clients to deliver a cost-effective combination of standard and bespoke fencing and gates to meet architects’ required standards for perimeter security and aesthetics. Highbury Grove Business & Enterprise College is a new school constructed under the Government’s Building Schools for the Future initiative. 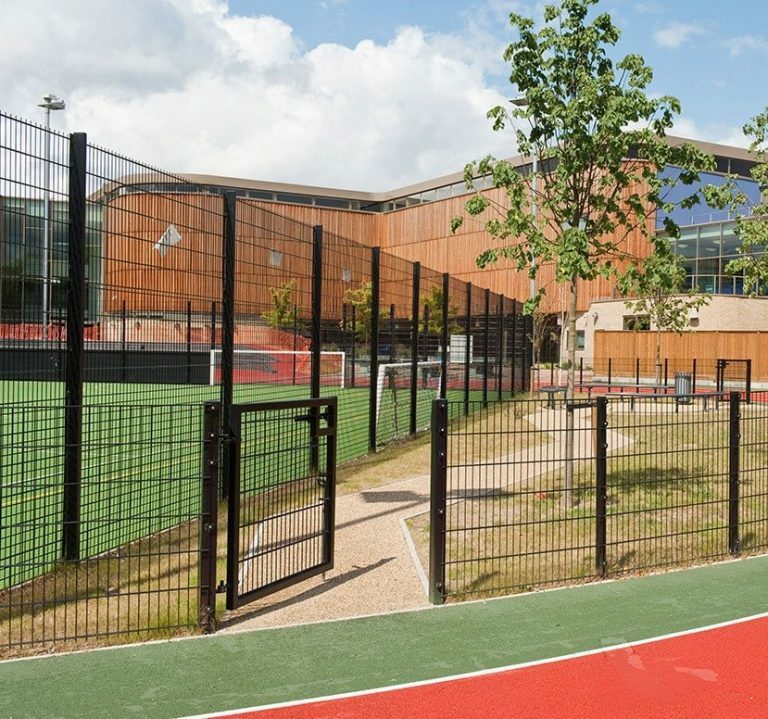 This particular project involved the demolition of the existing Highbury Grove and Samuel Road Schools and the construction of the new college, including an external MUGA (multi-use games area) and running track. The main contractor was Balfour Beatty and the architects were BDP Architects of London. Procter Contracts was contracted to remove the existing fencing and install new railings, sports fencing and gates. The automated gates are CE marked to the Machinery Directive, and the main entrance gates feature a large school logo motif. 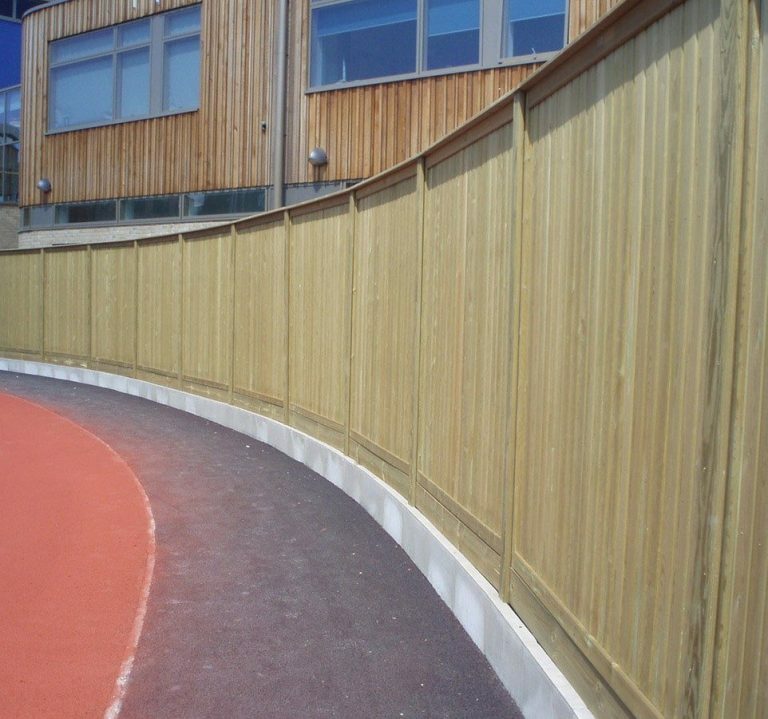 In total, the school has 250m of twin bar fencing, 75m of railings and 22 gates. In addition, Procter Fencing Systems supplied and installed 150m of FSC-certified timber hoarding 2.4m high for the duration of the construction; once the project is complete, Procter will also dismantle and remove the hoarding. The twin bar fencing is a galvanised and polyester powder coated mesh panel type with 200mm x 50mm apertures and panels ranging in height from 2m to 4m to secure the MUGA. All of the blunt top railings is 2.4m high with a galvanised and black powder coated finish. Gates range in width from 1m for personnel to 7m for vehicular access, all galvanised and black powder coated to match the fencing and railings. Four of the gates are fully automated sliding gates, while the others are manually operated. For the main entrance gate, the logo motif was laser cut and powder coated in-house by Procter Contracts, then attached to the gates with anti-tamper fasteners. For this new school build, we manufactured and installed 3.5m high bespoke custom made railings and matching automatic swing gates, weldmesh fencing, plus high quality planed timber close board fencing which comes with a 25-year guarantee. While the fencing was generally to Procter’s standard designs, the gates – especially the automated gates and the main entrance gate – were manufactured to the architects’ designs and specifications. This way in which Procter Fencing Systems can combine standard and bespoke products enables architects to keep costs down while achieving the desired aesthetics, and without having to source from more than one supplier. In the case of the Highbury Grove project, the contractor also benefited from Procter being able to supply, install, dismantle and remove the site hoarding. The project very much demonstrates our ability to deliver any combination of fence and gate types to meet both operational and aesthetic requirements. 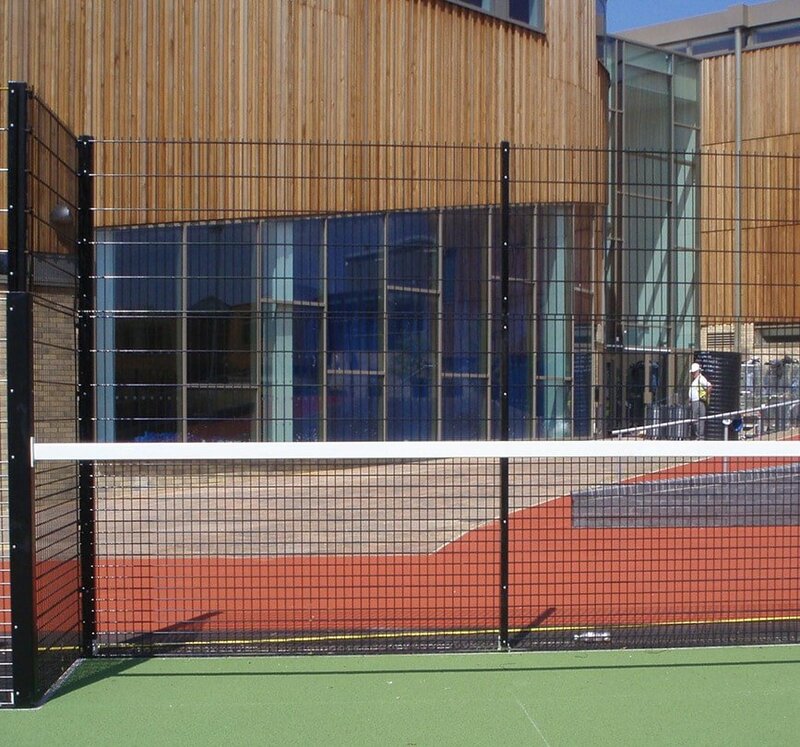 Furthermore, as one of the UK’s leading specialist manufacturers and installers and fencing and gates, Procter Contracts provided valuable advice on fencing selection and gate automation, thereby helping the architects to achieve the right level of perimeter security without compromising the attractive learning environment. 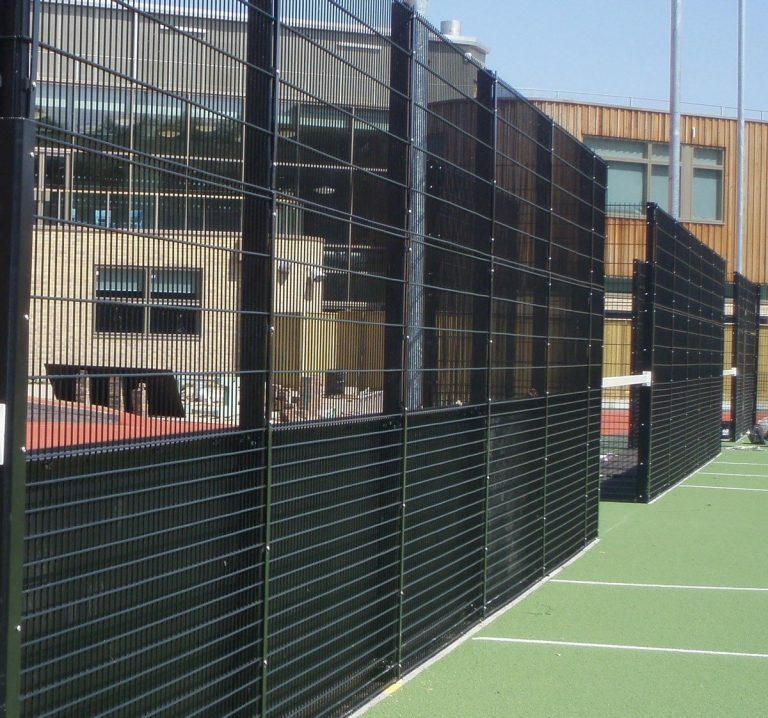 Specifying fencing is a complex task today but, to make it easier, Procter Fencing Systems has published ‘Fencing for Schools‘, the specifier’s guide to perimeter security fencing for schools. To request a copy, send an email to [email protected], or it is available directly from the ‘Free Downloads‘ section. "Very pleased with the overall job and impressed with the school emblem on the gates, together with gates' efficiency allowing for different modes of operation in and outside of school hours."